I've had to get some clothes that suit this climate and managed to find some great, affordable bits and wanted to share them with you! I came across MeandI, a Swedish clothing company that features women's, baby and kids clothes. They're all sustainably and ethically produced clothes and have some cool, unique designs which is what first caught my eye. 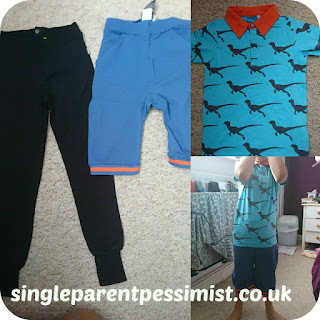 I love their clothes, especially the kids section as there is so many funky colours and styles that suit Chunk perfectly. I got him a gorgeous Dino Tee which he will not stop wearing, and a cute pair of baggy harem-style shorts. I also managed to get him some black sweatpants which are something I never have enough of. I like the quality of the fabrics and the finish of the garments. You can tell they are made well and should therefore last. I look forward to Chunk testing out the trousers durability as he is great at making holes in the knees through his outdoor play. For myself I got some boyfriend jeans in the sale which are a size smaller than usual as an incentive to shed the pounds. Thankfully I have started an exercise regime this week so it's looking good! 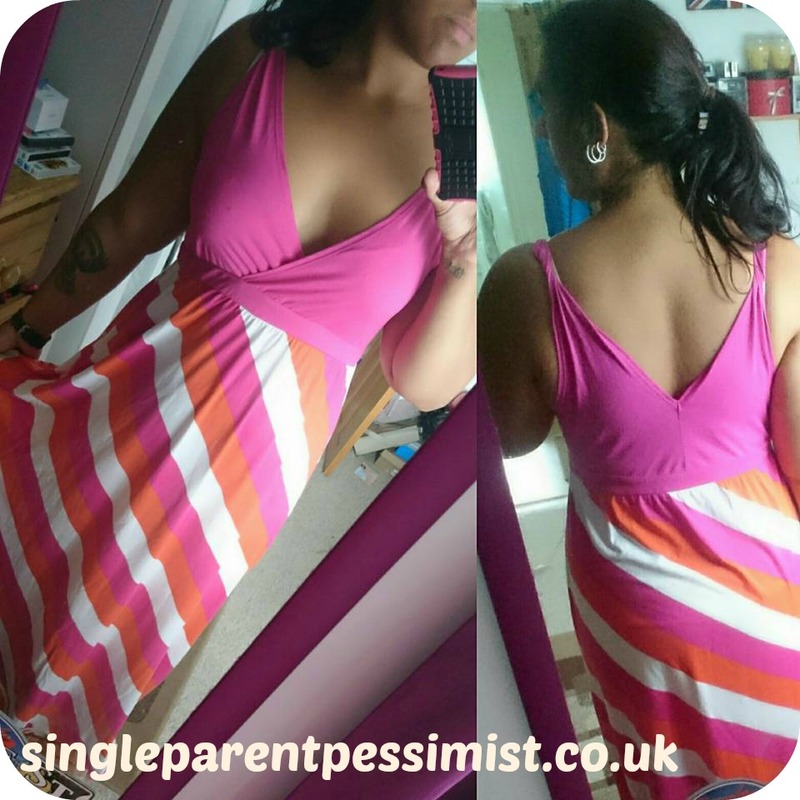 I also got a lovely maxi dress which is keeping me cool during this humid weather. Considering I'm so tall it still goes down past my ankles so I'm very impressed! It fits well and the straps are adjustable which is really handy. And guess who else has a sale?! 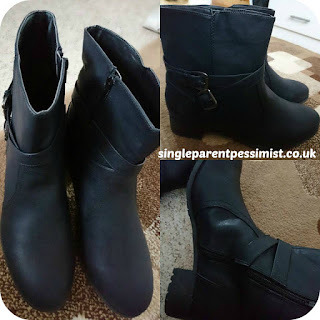 House of Fraser have reduced lots of their boots and these include ones that can fit my big size 10's! They are very comfortable, if a bit wide for my feet, but I will just have to double up on the socks which I'm sure I will want to do judging by our recent winters! They also have sandals on sale, so I may well be ordering some more from them as it's so hard to find women's shoes in my size! I like a bargain but I hate shopping! Wow, that maxi dress is gorgeous! I'd never heard of this brand, I'm off to check them out, they look great.